Looking for a great place to raise a family, away from the concerns of larger cities, and with a great school system? You will find this in Timnath. This little town, because of great planning, has a strong tax base generated by a large business located well away from Town Center. Major renewal of the Old Town is continuing and residents and guests alike are enjoying the revitalized are as a fantastic place to land for shopping, lunch or an evening out. A mile from Old Town Timnath sits Bethke Elementary. 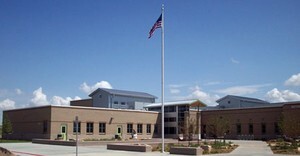 One of the newest schools in the well thought of Poudre R1 School District. The school's vision is "to honor and inspire academic excellence and prepare the whole child for success in the 21st Century World." In terms of the facility itself, Bethke was the first in the nation to receive Three Green Globes and the LEED Gold for Schools for sustainable design. If you don't have kids, it is a great place to spend some heart beats and volunteer - you will love it, just as my wife Bonnie does. Timnath is a short drive to Colorado State University so, when you buy a home in Timnath, you will have the whole educational enchilada right at your finger-tips. Staying in the area over the long haul is enhanced by a great job market based on growing employment opportunities. The region's economic diversity is the key — Northern Colorado has driven back recessionary forces and is on its way again! As with so many of the cities in this area, new housing is on the rise. As people realize the value of small town values, safe cities and strong community centered education; demand for new homes is rising. Now is a great time to start your search while you can still buy fantastic homes at an affordable price. What is Happening Right Now With the Current Timnath Market? On our Market Update page for Timnath we have lots more home sales data and trending information. Call me at 970-412-1657 or contact us below, and I’ll be happy to tell you why I love this town and the other great locations in Northern Colorado.